Ierissos is 110 Km from Thessaloniki, the second largest city of Greece. The trip is around 1 hour and 30 minutes from Thessaloniki with normal average speed. The route is mainly motorway (70Km) and the rest Kilometers are in local roads. 25 Kilometers from Stavros Until Stratoni are mainly hard turns and more attention should be applied by the drivers. 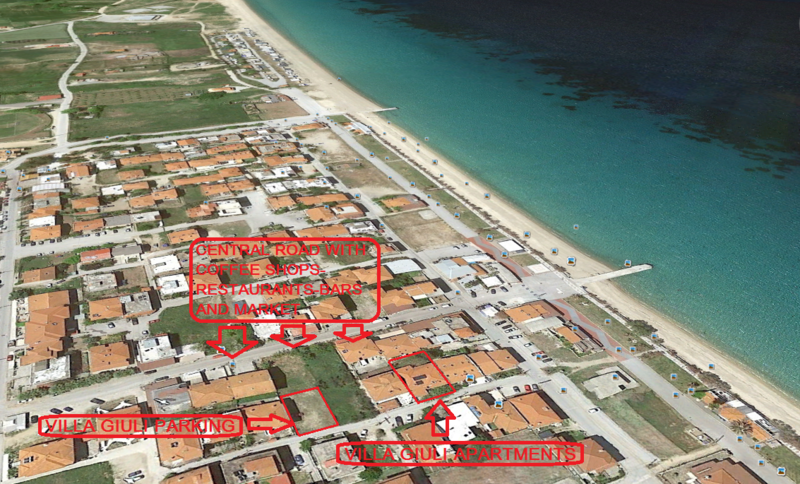 For directions of how to arrive to Villa Giuli, please check the pdf leaflet above (you can also download and print it).